When Diane Roberts (centre) was diagnosed with cancer, she never imagined the University would play a key role in her recovery. "After my surgery in 2002, followed by six months of chemotherapy, I had lost 15 pounds, I was weak, and slept most of the time. Then I found UW WELL-FIT." 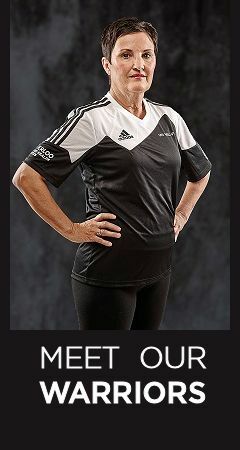 Diane was one of the first participant's in the unique exercise program tailored especially for people undergoing chemotherapy, radiation, or hormonal therapy for the treatment of cancer. Since then, UW WELL-FIT has helped more than 2,000 participants battle the side effects of cancer and treatment. It is our hope to continue offering the UW WELL-FIT program to more individuals coping with cancer. In order to continue and expand this valuable program at no charge to participants, we rely on the generosity of our donors. 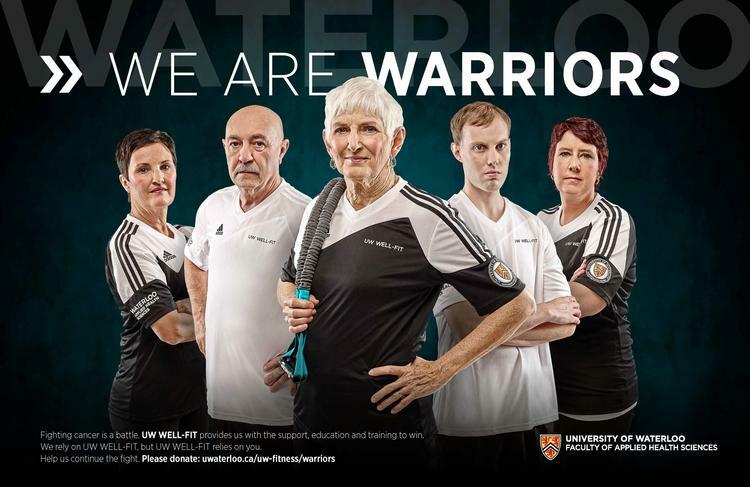 To donate directly to the program, please complete Waterloo's secure online donation form (choose "UW WELL-FIT program") or contact Sherri Sutherland, Applied Health Sciences Alumni Advancement Officer.